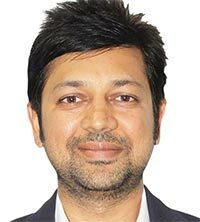 Sujit Jain, Founder, Chairman and Managing Director, Netsurf Communications (P) Ltd.
"In India, we have more than 4 million people involved in the Direct Selling Business. Today, it is an Rs 7,200 Cr industry which is growing at a rate of 10 to 12% yoy. By 2025, the industry is expected to touch Rs 64,000 Cr. It projects a promising picture with employment opportunities on an unprecedented scale. Also, it is a great opportunity for budding entrepreneurs." Established in the year 2000, Netsurf is one of the leading direct selling companies in India. Netsurf initiated its operations in India with organic farm care products, rightly foreseeing the future of the global environment. Netsurf operates in more than 22 states & 605 districts of India. Netsurf has more than 2 million consumers across India. It offers 50 result oriented FMCG products across four product categories of Health Care, Personal Care, Home care and Agriculture. It has its own manufacturing facilities to ensure the best product quality. Netsurf’s turnover for the upcoming financial year 2016-17 is an estimated Rs 200 Cr while their last five years revenue stands at Rs 444 Cr. Their revenue share is divided between the Revenue from Agriculture products - 43%, Healthcare products - 40% and Personal Care products - 17%. Netsurf bagged two prestigious awards in the healthcare category at the recently concluded CMO 'National Awards for Excellence in Health Care'. Vinod Philip of IIFL provides you the highlights of his interaction with Sujit Jain, Founder, Chairman and Managing Director, Netsurf Communications (P) Ltd.
What is the Vision and Mission of the company? Become the first choice direct selling organization by innovating high quality result oriented products. Support every individual in the network with systematic and customized training programs to nurture their business skills. Create a legal and transparent business environment with the help of advanced technology enabled interfaces. What is the number of products launched since inception in the market? We started with one agricultural product 16 years back and today we have more than 50 products in 4 different categories. The products are divided into personal care, health & wellness, home care and agricultural ranges. The personal care range, branded as Herbs & More, consists of 30 products. These products are further divided into Vitamin Therapy range (18 products), Vitamin Therapy PROFESSIONAL range (7 products) and Ayurvedic range (5 products). The health & wellness range, branded as Naturamore, is further divided into Nutritional Food Supplements range (4 products), Herbal Dietary Supplements range (5 products) and Ayurvedic Medicines (2 products). The home care range, branded as Clean & More, consists of only one product. The agricultural product range, branded as Biofit, consists of 8 products that cater to the need of farming and cattle care. What is your current market share as compared to competitors? Currently, when we consider the scenario of the INR 7200 Cr direct selling industry in India, there is no regulatory body present to analyze and share the market share of the players. Netsurf, though spread across 22 states in India, is predominantly present in the States of Maharashtra, Gujarat, Karnataka, Madhya Pradesh and Rajasthan. In FY 2015-16, we closed with a total turnover of INR 150 Cr. Describe the Supply-Chain-Management (SCM) for distribution of products in various markets? Being in the Direct Selling Business, Netsurf Communications works on a very flat supply chain structure. Captive manufacturing plants transport products to 5 warehouse locations. The products are dispatched across different locations across India to the C&F agents. From there they are distributed to the Exclusive Stock Points, as per their product orders. The individual direct sellers of Netsurf buy the products from these stock points and further they can retail those products at MRP or they can use them for their personal consumption. Currently, we have around 225 stock points present across 22 States, 605 Districts and 4222 Blocks of India. What is the latest update or innovation that stands out on the technology front that distinguishes your products from the rest of the competition? Technology has proven itself in the last two decades by dramatically changing the lives of individuals and organizations. It has also changed the way we shop. Consumers today prefer buying everything online, be it grocery, furniture or food items. Today, direct selling is no more an exception in adapting technology. Technology has proven to be a game changer, which has helped to explore various innate aspects of the direct selling business. The direct selling business is a little different where the products are directly sold to the consumers away from fixed retail locations. However, it has been observed that many a time, consumers find direct selling products helpful but can't buy them again because they have lost the contact details of the distributor who sold it to them for the first time. Sometimes consumers come across some marketing efforts of the company and they wish to try the products but don't know how to reach an independent distributor, who can provide them those products. Our latest advancement in technology based on the geo location connects our distributors swiftly to our consumer. “Geo Retailer” turns the consumer's physical location into valuable data and uses this data to make the entire consumer experience convenient and smooth. The platform helps consumers to find a Netsurf Distributor near their location and choose one of them based on the distance, service rating and the product discounts offered by them. As soon as the consumer selects the retailer and places an order, Netsurf Distributor will receive a notification with consumer details. Then the retailer would contact the consumer and mutually they can decide the time of product delivery. This application also navigates the retailer to consumer’s location through map. Looking at online consumer behavior the payment mode is cash on delivery hence the consumer will pay only when the products are delivered. We believe that this technological advancement will benefit our consumers, our direct sellers and us in a mutually beneficial way. We had started with our direct selling business by introducing organic agriculture based products in the year 2000. We are probably the only company to run this rare model very successfully in India. We have a complete organic range of agricultural products that helps in increasing the yield and reducing the expenditure on farms. It has been a very successful model so far for these products. It also benefits the farmers to develop another source of income in their slack season. The agricultural products range currently contributes 43% to our total revenue. Netsurf’s herbal cosmetics range comes with a very rare combination of essential vitamins (to fight ageing effects), herbs (traditional savers for skin nourishment) and different fruits extracts (to improve the skin tone and texture). One can rarely find such a combination in the current Indian cosmetics market. What is your current revenue and turnover and projected margins for FY17-18? We are growing at 30% yoy and we are expecting to reach to Rs 300 Cr by the end of FY 2017-18. Can you share your future plans for growth and expansion? We have multiple plans for our future. As mentioned earlier, Netsurf started functioning as a direct selling company in the year 2000 with a bunch of organic agricultural products. As a result, we are extensively present across the interior parts of rural markets. Hence, now our target is to penetrate urban markets with innovative products. Innovate and formulate quality products which will address customer pain points. Target and increase the direct seller base with more women and youth as direct sellers. Currently, we have 100,000 women direct sellers in our network. What are your investment figures and outlay for FY16-17 and for FY17-18? We will be deploying approximately Rs 10-15 Cr over the next 1 year based on our growth trajectory for FY 17-18. Name the noteworthy new trends in the industry? The welcoming news of the Govt. of India issuing guidelines for direct selling in India marks the first step to curb the malpractices by a few companies that con individuals into investing in something that doesn’t exist. We are motivated and optimistic about the growth of the industry and retention of consumer interest in it. Technology has changed almost every industry and the direct selling industry is not an exception to it. It has simply changed the way this business is traditionally conducted. It has made the need of the direct seller to step out of home and approach people personally to sell products redundant. Today, we have all the options to promote our business through social media, blogs, PR, WhatsApp and various other mediums. Also the need for a demo of the products is fulfilled by the shareable content available on each platform. Today, at Netsurf, one can simply go on promoting his business through Netsurf’s App and even sell the product through his own online business link even without meeting the customer in person. Hence, direct selling is no more Door-to-Door but now it is Screen-to-Screen! It is a great technological advancement achieved in the last few years! Could you provide us an overview of the direct selling Industry in India? In India, we have more than 4 million people involved in the Direct Selling Business. Today, it is an Rs 7,200 Cr industry which is growing at a rate of 10 to 12% yoy. By 2025, the industry is expected to touch Rs 64,000 Cr. It projects a promising picture with employment opportunities on an unprecedented scale. Also, it is a great opportunity for budding entrepreneurs. What are the future products you are looking at launching in the market? We are looking at scaling our product portfolio in the home care category. We are planning to launch 4 new products in the Home care range. Coupled with this, we are also exploring the opportunity to launch a list of Herbal Hair color products in our personal care category.